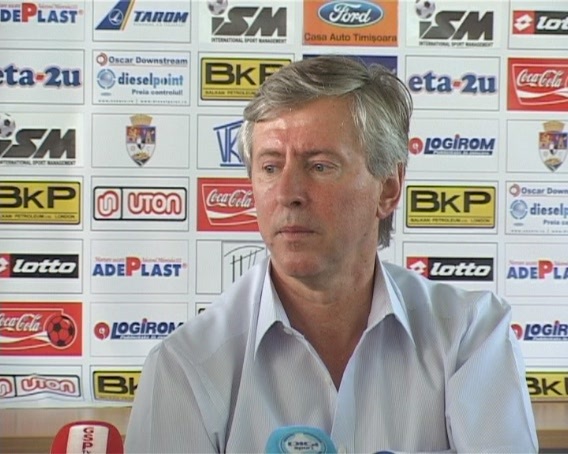 CFR won the league and the Romanian Cup with him on the bench, but the team rarely offered convincing displays, struggling to adjust to a 4-3-3 that looked good on paper, but poor on the pitch. With the whole summer ahead of him and the chance to create a roster according to his plans, Mandorlini failed once again to impose his ideas. Important changes took place in the team, but CFR kept on switching between a 4-3-3 and a 4-3-1-2, in the first rounds that left the impression that Mandorlini needed a few more friendly matches, in order to make the team click. Six rounds gone and the champions are in mid-table, with the humiliating 0-3 defeat suffered against a newly promoted, Sportul Studentesc, still hurting a lot of egos in Cluj. Although Arpad Paszkany backed the coach and moved the pressure on the locker, Mandorlini – who recently got Sforzini, De Zerbi and Anselmo Ramon to make up for Deac’s transfer to Schalke – should think about packing, unless he manages to turn things around right away. He won’t be the first coach who got CFR into the Champions League group stage and get the sack before playing a single game – he can ask Ioan Andone! This was supposed to be the year in which FC Vaslui would have thrown everything into the fight for the title, yet Adrian Porumboiu feels he just threw a bag of cash out the window. With a strong roster available, plus several other top buys, the former Real Madrid coach Lopez Caro and his professional staff were expected to produce wonders in Liga I. I cannot figure out what these guys did all summer, as they’re currently still trying to figure out where each player goes in a 4-2-3-1 that was torn to pieces by Rapid, Steaua and Unirea Urziceni. Ok, we should keep in mind that Vaslui lost against top clubs (except Unirea, who was in a really bad state before the game! ), yet Lopez Caro knows really well that these are the teams to beat, if he does want to have a shot at a title. Playing Wesley, the team’s top player and most prolific scorer from last season, as a central midfielder (he had to get the ball from the defenders and organize the build-up, just like a “regista basso”), was the strangest idea, but the poor signings made by the Spaniard angered the owner even more than the poor start of the season. Rodolfo Bodipo was already sent back to Spain, while Campano, Annang (terrible player) and Yero Bello have every reason to anger the guys like Pancu, whot worked hard all summer and now find themselves out of the team. Porumboiu already had several meetings with Lopez Caro, trying first to figure out what’s wrong and lately to convince him to walk away, saying that he expects some decency from the coach, as things cannot continue like this. Quite a change of position from the man who was so sure that this guy is a pro and he won’t touch him in the three years of contract that he agreed to pay around 1 million Euros in case he’d ever decide to give him the sack.